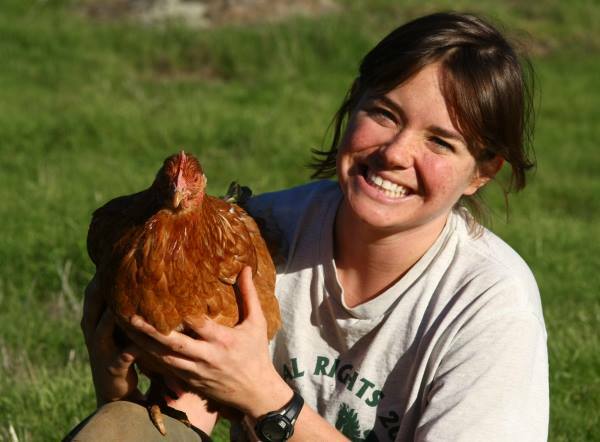 Animal care director Jamie London will be speaking next Wednesday at the sanctuary along with Marin Humane Society captain Cindy Machado on how to recognize animal abuse in farmed animals. To attend, call 530-575-7984. Date is October 23rd from 3-5 pm at our Grass Valley sanctuary. Crown Pumpkin – don’t let the pretty color fool you! This isn’t a front porch pumpkin…it’s more like an eating-pumpkin, to be used in the same way as butternut squash. 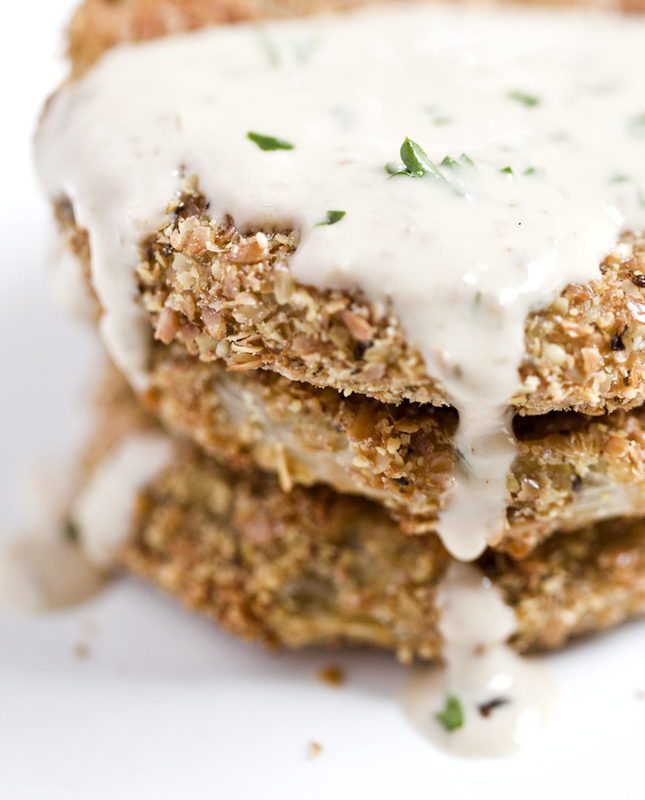 Green Tomatoes – try out the Southern fried green tomatoes recipe below or try out some raw recipes. 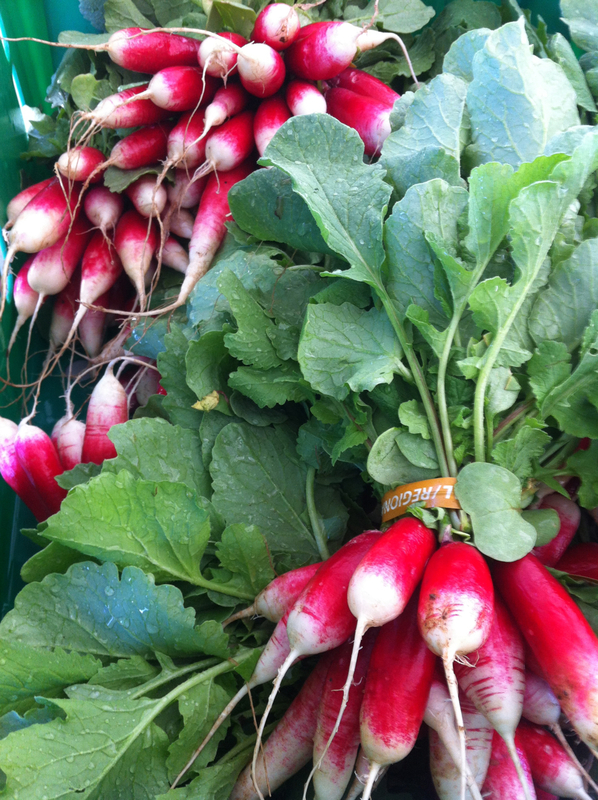 Radish Medley – French breakfast radishes are new this week, along with plenty of purples, pinks and watermelons. This is our last farm season and our last CSA harvest. Thank you so much for your support! Each and every CSA member, our biggest farm supporters. Assistant farm manager, Andy Gustafson, for eight months of dedication and great ideas. Rebecca Wolf, farm intern for five months, always cheerful and energetic no matter how tough the task. Kim Waits, farm intern, for jumping in with enthusiasm for our final two months. Tom Maher, second season volunteer and potato digger extraordinaire. Greg Litus, my husband, whose big, gentle hands can tirelessly fix anything, grow anything, build anything and carry anything. Gayle Evans, for creating a beautiful flower garden for our beneficial insects and sanctuary visitors. Michael Johnson, our dear friend, volunteer and farm donor. Mary Rodgers, for support and promotion at the Sacramento Vegetarian Society. VegFund, for supporting us through their Merit Award for three seasons. And Kim Sturla, Animal Place’s director, for making this dream possible at the beautiful sanctuary. Preheat oven to 450 F. Lightly oil a baking sheet with olive oil or non stick spray. Slice tomatoes in 1/2 inch slices and set aside. Mix flour, cornmeal, paprika, salt, pepper and cayenne in a mixing bowl. Pour non-dairy milk and apple cider vinegar in a a bowl and mix together. In a blender or grinder pour in flax seeds and grind (about 5- 10 seconds) until 3/4 of the seeds broken up. Do not grind into a powder! Pour ground flax onto a dinner plate. Take slice of tomato and dip in milk mixture, then in flour mixture, then again in milk mixture (lightly so not to wash off the flour mixture), then in the flax grounds. Place on oiled baking pan. Repeat with each tomato slice. Once all the tomatoes are on baking sheet lightly drizzle olive oil on the tomatoes. Place in oven and cook for 15-20 minutes or until golden brown. Flip tomatoes half way through cooking time. 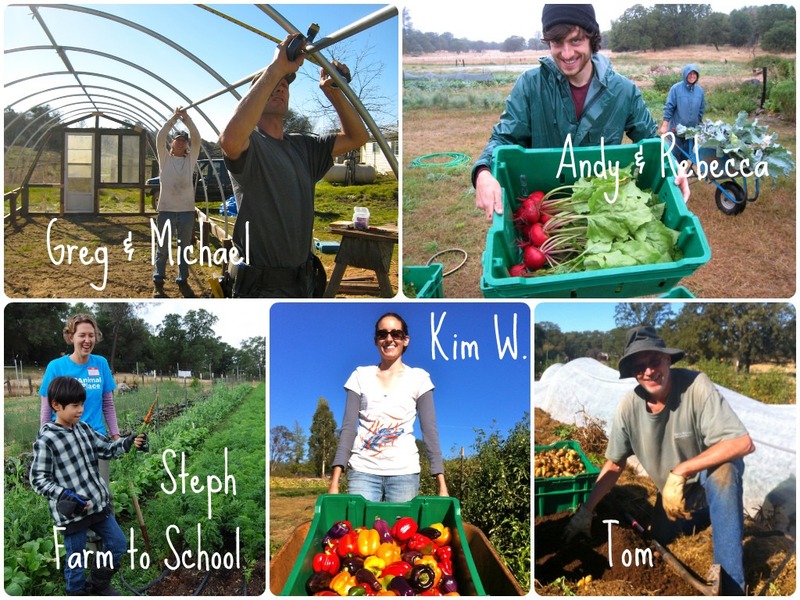 A huge THANKS to Stephanie and Greg for putting an amazing amount of hard work into creating a delicious veganic farm. We are going to miss them both and the vegetables they grew. We sadly bid them both farewell. This farm was an amazing project with amazing Steph and Greg and all the others. I learned a lot from it. I was sorry to not be local enough to fully enjoy the produce which was fantastic. We’ll miss you so much. Best wishes to you.